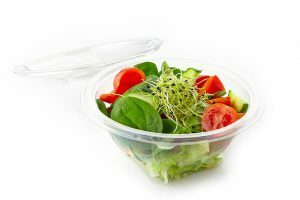 The popularity of plastic food containers isn’t surprising in light of their numerous benefits. 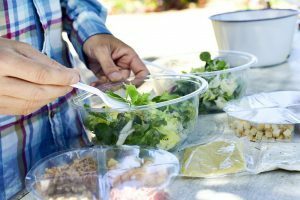 Plastic, after all, is a durable, versatile, and affordable material, giving these food containers great value for the money. 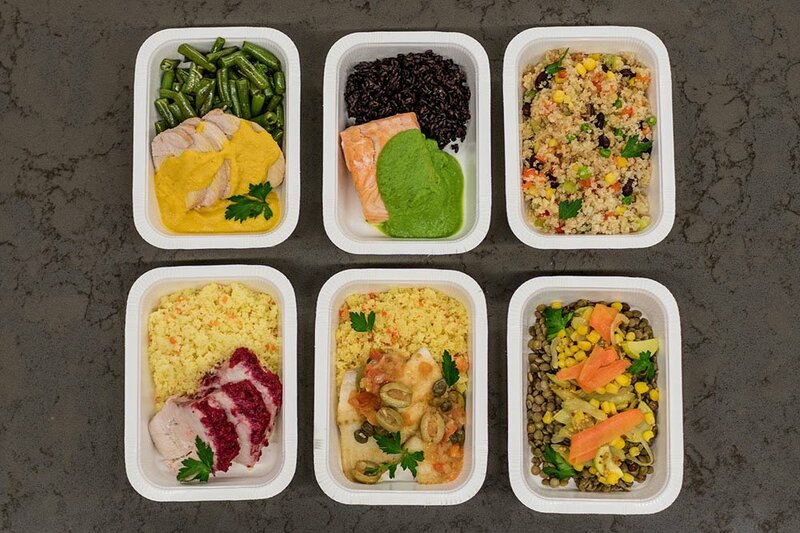 This can also be said of Me.Fan 3-compartment meal prep containers. This set of Me.Fan plastic food containers consists of 10 containers with their lids. 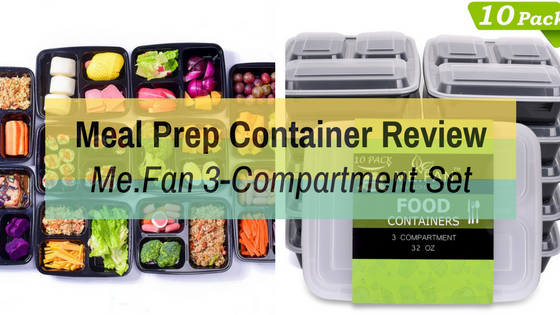 Each container has three compartments for separating three different types of food for a complete meal, such as a salad, entrée, and dessert. The plastic for the containers has been chosen for its strong and sturdy quality. The containers, for example, can withstand the pressure to which they are subjected to when stacking them, even when there’s food in each of them. The trick is to ensure that they aren’t stacked too high and are stacked as evenly as possible. These containers will obviously not withstand abnormal amounts of pressure, such as when you’re leaning on them. But under normal circumstances, you don’t have to worry about them getting cracked or warped too soon. 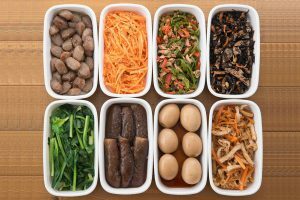 The plastic is also of food grade quality. This basically means two things – first, it’s free of BPA; and second, it’s approved by the Food and Drug Administration (FDA) for consumer use. Even when it comes into direct contact with your food, you don’t have to worry about harmful chemicals leaching into it. These containers can also be used for reheating food in the microwave oven and for storing it in the refrigerator. They can even be placed inside the freezer. The plastic can withstand temperatures between -40°F and 250°F for prolonged periods without cracking or other types of damage. These products obviously shouldn’t be placed near sources of direct heat, such as open flame, because the plastic will melt. And speaking of microwave use, be sure to remove the lid off the container first. The lid, unfortunately, isn’t safe for use in the microwave – it will melt. The opposite is true in the dishwasher since both the container and its lid can be placed inside. The convenient size means that a container can be placed inside a standard-sized backpack or bag without adding too much bulk. If you’re thinking of stacking several containers, you may want to do so in a larger bag. When stacked, the containers will have a thicker profile when there’s food in each of the containers. But when they are empty, they can be nested, so to speak, for a slimmer profile. 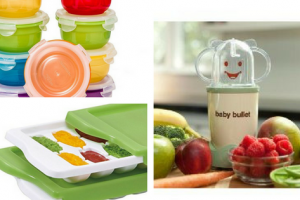 The three compartments are perfect for storing different types of food. 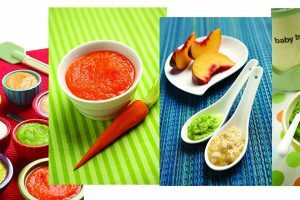 You can pack dry food, such as sliced fruits and vegetables, chicken tenders, and salads. You may also pack food with sauces, such as stews, but be sure to avoid tilting the container on its side too much as there may be accidental leaks. You should, however, have little to no problem with leaks if the lid is tightly sealed. The large compartments mean that you can pack generous portions of food for your meals. Of course, you can control the amount of food placed into these compartments, such as when you’re on a calorie-limited diet. The set of Me.Fan meal prep containers is a good buy because of the containers’ durability, versatility, and practicality. 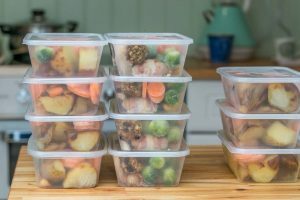 They can be used for multiple purposes, such as portion control for weight loss, meal preparation for lunches and dinners for the family, and takeaway containers after parties. These containers are made of durable plastic, which means that they can be reused several times before disposal, preferably in the recycling bin, is warranted. Be sure to use these containers in a proper manner. 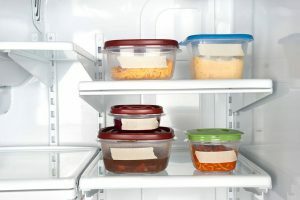 For starters, you should wash each container as soon as possible so that the smells, colors, and flavors of the food stored inside will not be transferred into the plastic.